"In the 1960s and 70s, the media discovered the Japanese Metabolist architects, gave them an incredibly significant platform and increased their aura. I am a little jealous as this happened at a time when there wasn’t any resentment or caricature. We are now “star” architects, which has become a horrible condition, because it means we get more attention but are taken less seriously. Metabolism occurred at a moment when the denigration that comes with celebrity was not yet operating. The Metabolists were not a group of individual architects, but a movement that was orchestrated, and to some extent invented, by the state. The Japanese state in 1960 needed to present a local avant-garde branch of modernism to the world. And the Metabolists were that; they were put on a stage so they could perform with the likes of American and European avant-gardes. The state is particularly fascinating, and this state as a creative agent – which is very far from the current situation – as a puppeteer for a movement of architects, orchestrating the public sector to invent a project for the whole of Japan that could deal with Japan’s potential but also with its weaknesses. This was a different kind of architectural climate, the last moment when the public sector and architecture were intimately connected, so that the architect had the security of serving a purpose greater than either his own simple fantasy or that of a private client. The Metabolists were a group of people who maintained an incredible intimacy and intensity of relationship over a 50-year period. In current architecture, we compete with each other until the death – that is a very gloomy social environment to move in. In a recent attempt to understand the situation, we looked at the number of times that architects have been on the cover of Time Magazine. We discovered there had been lots of times between the 20s to the 60s. The last architect who was ever on the cover was Philip Johnson in 1979. Since then, in spite of “star” architecture, none of us have ever been on the cover of Time. That, for me, is a drastic confirmation of our de facto fall in status, in spite of our increase in celebrity." "We are now 'star' architects, which has become a horrible condition, because it means we get more attention but are taken less seriously"
Rem Koolhaas is one of seven partners at OMA (Office for Metropolitan Architecture). Under his leadership the firm has constructed the new headquarters for the China Central Television, the new headquarters for Rothschild Bank in London and the Prada Transformer. Winner of the Pritzker Architecture Prize, the Golden Lion for Lifetime Achievement at the 2010 Venice Biennale, and Professor at Harvard University, Koolhaas is impressive both for his accomplishments and for his continuing commitment to ideas as tools for changing the world. To this end, he has also established AMO, a design and research studio that works across disciplines in tangent with the architectural practice. 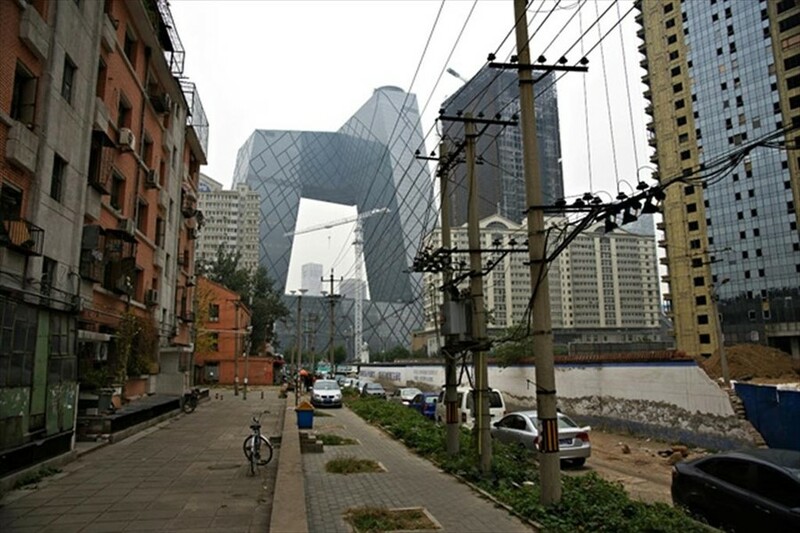 Above all, Koolhaas doesn’t mince his words, while being softly-spoken and considerate. He is not without his critics who accuse him of arrogance, unoriginal and conflated thoughts, avoiding genuine critical engagement by partaking in well-orchestrated provocations, or without his failings (OMA had two major contracts in America cancelled during the early 2000s recession). As the Barbican hosts the UK’s first major presentation of OMA’s work and working process, Koolhaas speaks about a subject that has concerned him for some time: the downward trajectory of the architect in the 20th century as compared to the days of Metbolist architecture.